The University of North Carolina Board of Governors, which consists almost entirely of Republican appointees, voted to disband the think-tank created to help launch John Edwards' presidential campaign and run by a law professor and former Democratic candidate for Congress from Colorado. About two dozen protesters disrupted the Charlotte meeting to oppose closing the Center on Poverty, Work and Opportunity at the University of North Carolina at Chapel Hill. One by one, they read from a statement before some were told to leave and led out by campus police. State university leaders moved to a smaller room, allowing in board members, reporters and staffers and leaving protesters to chant outside. The poverty center is headed by law professor Gene Nichol, who was the law school's dean when he helped create the center ahead of Democrat John Edwards' 2008 campaign. Nichol has acidly criticized the policies advanced by McCrory and Republican lawmakers. In one 2013 opinion essay, he compared McCrory to 1960s-era segregationist Southern governors because of his support for tougher election laws. Subsequent newspaper opinion pieces included the disclaimer that Nichol doesn't speak for UNC. Nichols swiftly responded to the decision, saying in an email it was an effort to punish him as the center's director "for publishing articles that displease the Board and its political benefactors." He added: "Were I to have praised the legislature's war on poor people, rather than decrying it, the Board would have placed laurels on my head instead of boots on my neck." None of the programs being targeted for cuts receive direct funding from state taxpayers. The poverty center's $107,000 budget comes from corporate and foundation grants and private gifts, according to the law school. A review committee said the poverty center should be closed because it "did not provide a wide range of alternatives for addressing poverty," because other anti-poverty efforts are underway on the Chapel Hill campus and because it is not clear how the center meets the law school's educational mission. Opposing the poverty center's closing are law school dean Jack Boger, a national professors' association and liberal groups in the state. Three local Democratic legislators who wrote a letter urging the Board of Governors to reconsider the closing said the board's decision to investigate the value of nearly 250 centers and institutes across the 16-campus university system was sparked by Nichol's criticism of Republican policy decisions. "It's hard not to conclude that closing the center is an intentional signal to other faculty researches to speak publicly only on subjects and positions more comfortable to the current majority," their letter said. State lawmakers told the university system's board to look at ways to divert funding for the centers to other UNC system programs. 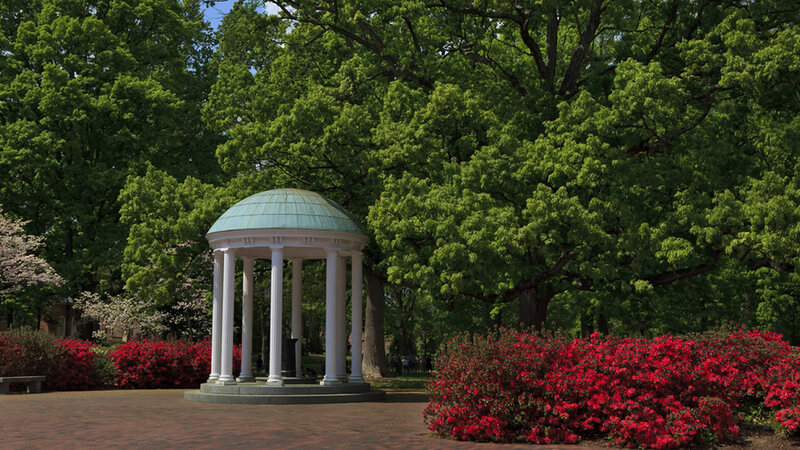 UNC centers and institutes received $69 million in state appropriations last year. Nichol was dean of the UNC-CH law school when he recruited Edwards to start the poverty center at his alma mater after his 2004 run as Democrat John Kerry's vice presidential candidate. Nichol had himself run unsuccessfully for U.S. Senate, losing Colorado's Democratic primary in 1996. He campaigned after leaving the University of Colorado law school, where he had been dean. Two years later, Nichol ran for the U.S. House in Colorado but again lost the Democratic primary. The center provided Edwards a platform to travel the country discussing poverty, which he had emphasized during his own presidential run before joining the Kerry ticket. A multimillionaire trial lawyer, Edwards earned $40,000 a year as the think tank's director before declaring his candidacy for president in December 2006. Nichol is paid an extra $7,500 as the poverty center's director on top of his $211,400 salary, law school spokeswoman Allison Reid said. He also is allowed to teach two courses a year instead of the usual three to accommodate his work as the center's director.